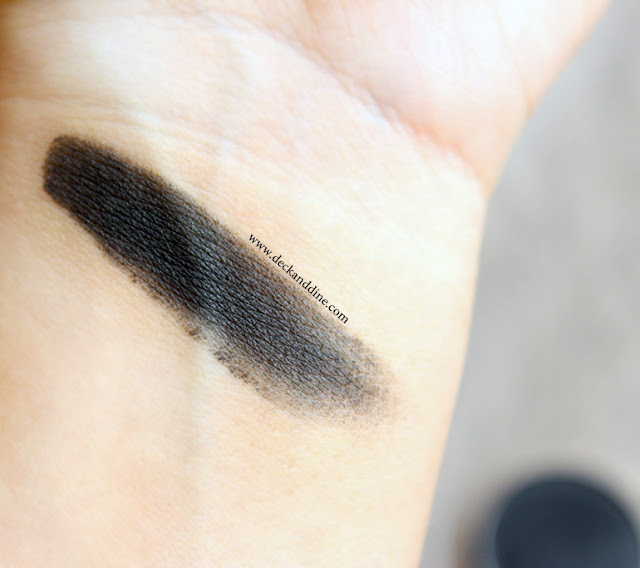 Home best black eye shadow coastal scents hot pot incognito review coastal scents incognito eye shadow review eye shadow eyes matte black eye shadow review Coastal Scents Hot Pot - Incognito Review, Swatches and EOTD. Coastal Scents Hot Pot - Incognito Review, Swatches and EOTD. There is something about black that makes me happy, be it clothes or a simple eye shadow. Black is something that intrigues me like no other color. Whenever I go shopping, I try to avoid blacks, but end up choosing black more than anything else. Today’s review is on a black eye shadow from Coastal Scents, Incognito. The list of things you can do with a good black eye shadow is unending, from a simple daytime look to a glam night one, black eye shadow can work its magic any day, anytime. 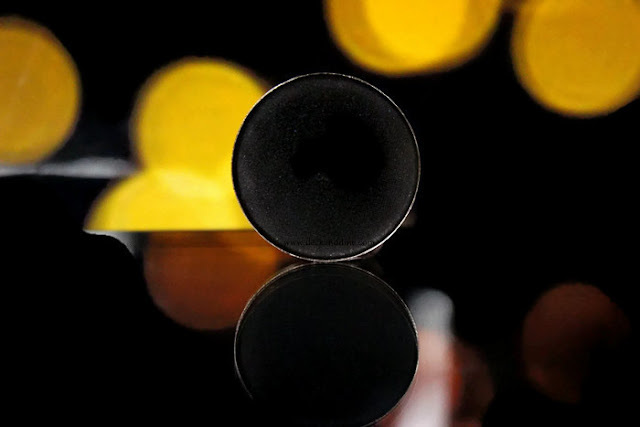 A 26mm metal pan that contains a highly pigmented eye shadow for multiple applications. The eye shadow comes in steel eye shadow pan which is further housed in a sturdy scissor locked plastic case. The plastic case is supposed to protect the product inside from any sort of damages. The shade name is written at base. Coastal Scents describe Incognito as a mysterious black hue with a matte finish. It is a stunning dark charcoal black, but does have some silver flecks when seen on the pan but on eyes it is more or less matte. It comes from their Matte range and trust me, there are very few brands who can make gorgeous textures in matte finishes. The texture is soft, buttery and blends well; very easy to work with. There are fall outs though, so you need to be careful when using this. It is best to do your eyes first and then your base. Crazily pigmented. Very rich and one swipe gives a decent punch of color on eyes. The shade is buildable and thus can be intensified as per choice. A primer beneath will make it pop up even more. The staying power is pretty nice and it stayed intact on me for more than 8 hours. No smudging, wearing off or creasing. 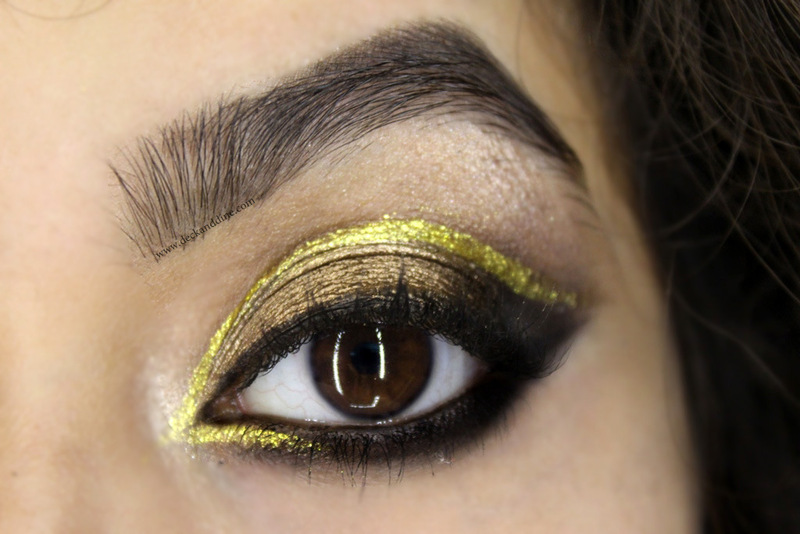 Very versatile, you can go from a day time to a night look in a wink. Soft, smooth and silky to touch. The plastic case with scissor lock makes it really travel-friendly. 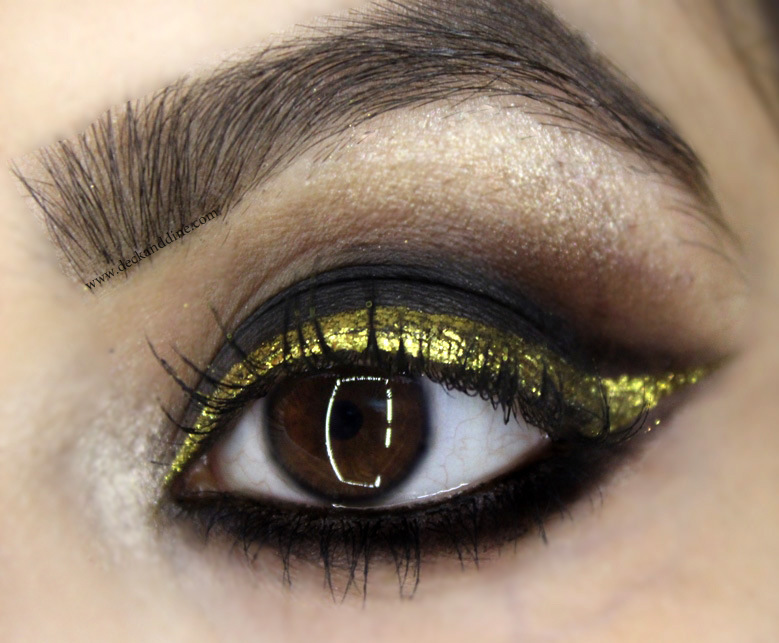 This is one of my most favorite matte black eye shadows. It has a rich color payoff, soft texture and applies so beautifully. The color neither diffuses nor fades and stays throughout the day, even without a primer. 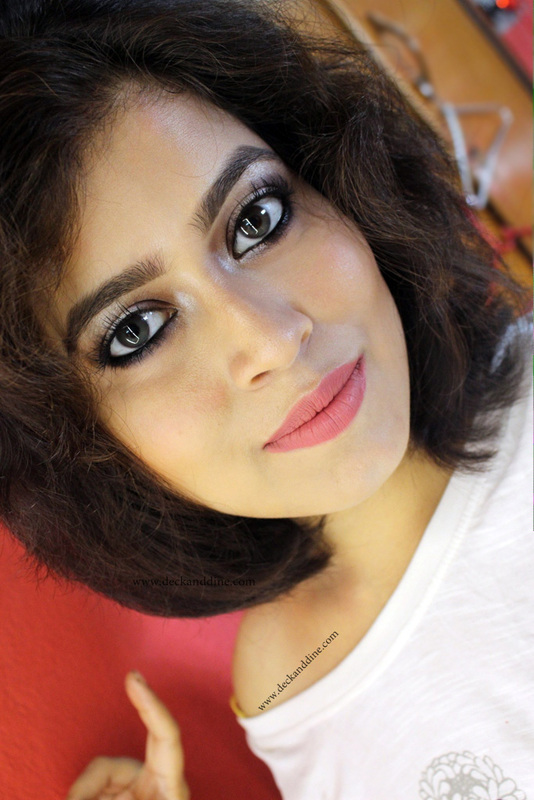 Day time subtle smudged eyes or night time glam smoky eyes, it is a sure winner. I recommend this to everyone, especially if you are just starting out with makeup. Which one is your favorite black eye shadow? Love your eye makeup ������ This is such an affordable pigment!